Author: Kunigunde Böhmer-Bauer. Series edited by: Beatrix Heintze, Karl-Heinz Kohl. The present study is concerned with the archaeological site of Great Zimbabwe, which is dated to the 11th to 16th centuries. The construction of Great Zimbabwe is attributed to the Shona and it is commonly regarded as the most famous archaeological site in Southern Africa. Although the ruined remnants have long been studied by historians and archaeologists, only few facts have been discovered, but numerous theories prevail. However, anthropological theories considering the sociology of African kingdoms have largely been neglected. Especially the prominent religious and political role played by women from the royal family in the Shona kingdoms has not found adequate attention in the extant theories. The author claims that this neglect is due to the prevalent Eurocentrism of the respective scientists, who deign to ignore the social and cultural peculiarities of the Shona groups. By taking into account the spheres of action and influence of both women and men the author arrives at a more balanced view of African history. Thus, neither the archaeological sequencing of ceramic fragments nor the chronological ordering of mural remnants, but the people who made the pottery and built the walls, the mentality of the men and women who lived in the state of Great Zimbabwe, are the focus of this book. 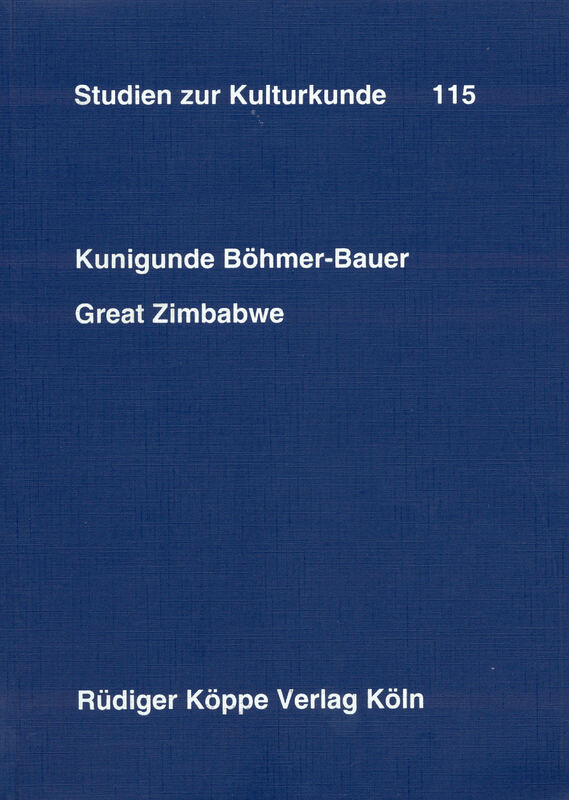 The book is based on the analysis of numerous objects and excavation reports from Great Zimbabwe: Portuguese accounts starting in the 16th century, 19th-century discovery and excavation reports as well as anthropogical research written and oral traditions collected mostly during the 19th and 20th century. 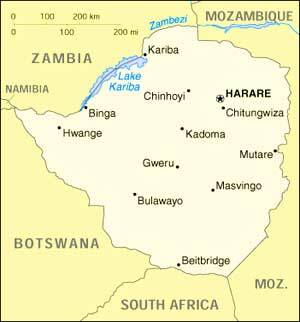 Following an etymological analysis of central terms (chapter II), an archaeological inventory of Great Zimbabwe is given (chapter III). Chapter IV details the history of the successor states Torwa (Khami) in the southwest and Mutapa in the north. On the basis of the information thus compiled the different theories existing on Great Zimbabwe are then thoroughly scrutinized from an anthropological angle (chapter V). Chapter VI draws on the previously established results as well as on current ethnography to ascertain possible uses for the various types of objects found in Great Zimbabwe, especially with regard to the political and religious positions of royal women, female ancestoral mediums and priestesses with the Shona and the related Venda and Lobedu.